With all the information out there, solar power can become quite confusing – but it doesn’t have to be. Here is a simple explanation of how solar power works. There are basically three important components of solar power. Solar panels are installed on the roof and they absorb energy from the sun. This energy is transported to the inverter which converts that energy into usable electricity that is used by the household and the appliance in it. Any electricity that is not used by the household will be transported back into the main electricity grid and a credit will be given to the homeowner on their next electricity bill for this excess power. (See feed in tariffs for more). The installation is important because if not done correctly storms could blow solar panels off the roof, bad workmanship can cause electrical fires, railings could break the roof and so on. The results can be catastrophic and it is not worth the risk. Because there are only three important factors involved it is important to get these right. If the solar panels are inferior they will not absorb energy efficiently and the system will not produce as much electricity as it could. If the inverter quality is poor it will waste a lot of the energy absorbed in the conversion process resulting in less usable power. As mentioned above, if the installers cut corners on the installation it could put the home in jeopardy. A bank of batteries can be installed in addition to the above in order to become self sufficient. This means that some of the power produced by the solar panels will be used to keep the batteries charged and the batteries will power the household in times when the solar panels can not – ie. at night or during overcast days. 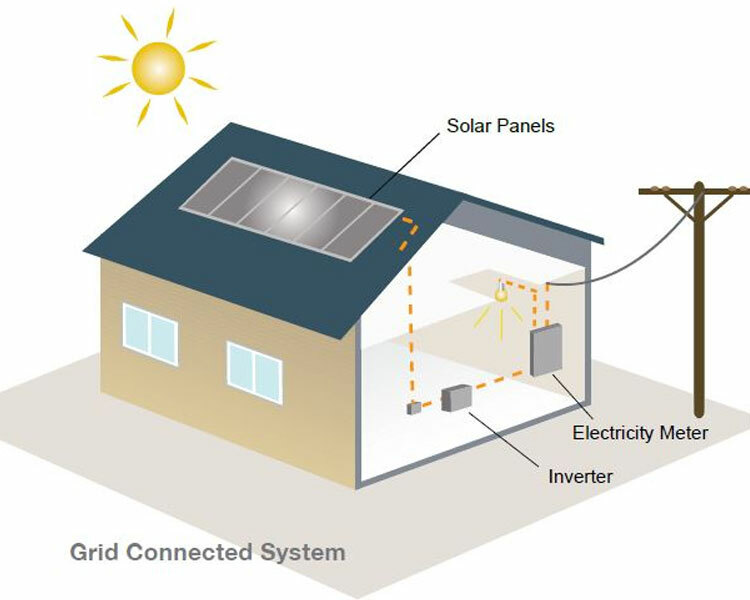 In most cases, the solar system will only draw from the grid when absolutely necessary. 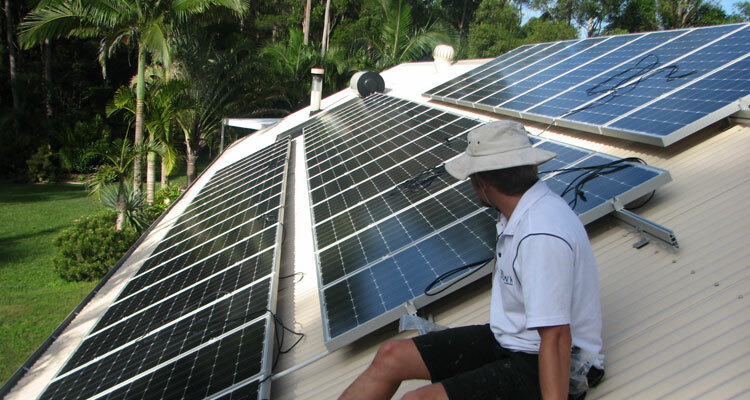 Click here to read more on Off-Grid or Hybrid Solar Systems!